Will this game be a tornado? ThePorsche934.5 wrote Will this game be a tornado? No, it's clearly going to be a video game. If these pictures are any indication, this might be the first Just Cause game to use vehicles from the previous entry. All of them are either modified or renamed by the looks of it. The Pocumtuck Nomad from Just Cause (1) reappeared in Just Cause 2, same with the Mosca 125 Rallye, becoming the Mosca 125 Performance. So now that the game is out, how is it? Is the gameplay good? Is the map huge, just like in Just Cause 2? (One of the biggest gripes in JC3 was that the map is too small) Is it buggy? 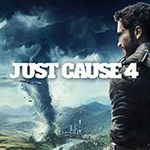 I know that few people in IGCD speak Spanish, but I did an extensive review of Just Cause 4. So, here's my impression with the game after playing part of it for a while. I thoroughly enjoy this title, even if I haven't beat it yet. The tethering and grappling hook are still the stars of the game, but I feel like Avalanche Studios put some cracks in JC's pedestal. For one, I love the fact that they made the map much bigger than JC3 did, and that it's size is similar to Just Cause 2's Panau. And I appreciate the extreme weather the game got going for. But there's several flaws that kinda misfired the game from the get-go. So, is Solis better than what JC3's Medici looked like? Yes.... and no. Yes, the map is bigger than Medici. Yes, there are four biomes alongside sub-biomes. Yes, there are TWO major cities, including the capital. Yes, they have an extensive freeway system. But I kinda feel like something is missing. You don't feel like you're a part of something and I wish causing chaos was a lot more extensive. Vehicle wise, I'm still disappointed. Sure you got a rickshaw and some semi trucks, and the cars all look nice, but once again the overall ground vehicle list is still short. JC3 had only about 20 civilian vehicles. JC4 has more or less the same vehicle count, except add a few more. Why? I'm one of those people who like variety, and I wish there was a modern open world besides GTA with a massive vehicle variety. Again, Avalanche had lots of cars in mind, but could only cram what's left and didn't bother with anything else. It once again feels rushed. Gameplay wise, gunplay is improved, but why I can't detach a mini-gun from a stand is rather restrictive. Smaller weapons can't be dual wielded, and most of them are less ammo than the average fight. At least the enemy types are much better, ranging from grunts to drones. Remember when settlement takeovers involved destroying chaos objects and blowing up military bases? Those were the good old days when Just Cause 2 was out. JC4 still has the chaos object destroying ability, but this time you actually cannot complete them by simply destroying chaos objects. Rather, you have to complete a task. Why, Avalanche, why? This isn't Just Cause. Rico does not do errands to reclaim a base. Seriously? Overall, the game is fairly good, but I wish they could get some leeway and develop a better game around it. Causing chaos feels let down compared to games past. TL;DR, the game's issues are contradictory. Map's bigger but could be better, cars are still on shortage, gameplay is okay but restrictive, and settlement takeovers are nerfed to hell and back. Sorry for doubleposting again, but has anything been said about a DLC roadmap? Maybe new vehicles? Maybe better optimization? Or something of the like? Aren't all the vehicles unlockable for requesting supply drops, as you need to perform a stunt or clear a province or a mission to have one for said supply drops? EDIT: Nope. Wasn't really all that necessary though. -A jet ski, but I haven't checked the name yet. Manufacturer is Prisa. Also, this does not appear in supply drops. Will see if I can find the proper names. TrueCrime wrote Aren't all the vehicles unlockable for requesting supply drops, as you need to perform a stunt or clear a province or a mission to have one for said supply drops? Can you imgur the Alpinista Snowmobile if you got time? Okay, don't get me wrong here. I'm happy that Avalanche did at least pull a GTA mechanic into the Just Cause series. But the selection feels practically rushed and for unknown reasons, like the GTA III era (not counting San Andreas), the playlists provided are in a single loop. Meaning they're repeated. They're also ridiculous and obnoxious. Solis Hoy, a talk show that sounds erratic and more of a comedy show or something like that. Reflexiones, or Reflections in Spanish, is an '80s Latin pop station. Recuerdo (Memories), a Latin rock station. Vinilo, I'm not sure what it is. Might want to listen to it more as I play the game. Furibundo (Furious, in Maltese) is a electronica/dubstep station that's worse than any other UKF Dubstep crap you've heard since the past 5 years. Oddly enough, it's the only station that its name is not in Spanish. Suave is supposedly a dance/reggaeton station. Radio Fresca (fresca means "cool" in Spanish) is a modern Latin pop station. Somehow more ridiculous than the pop hits elsewhere. El Escorpion is a Latin country music station. It does not seem to matter what car you drive or how fast it is, they all seem to be have problems when you drive them. That is pretty evident if you're just going on a cruise or just blazin' it on Solis' freeway system as every single car handles like a freaking truck. That or they don't handle at all. It just feels like they mixed both Need for Speed Carbon and ProStreet and mashed them together. The turning angles are atrocious and take too long to respond to almost anything, which is a problem if you're on a hard corner and you just want to turn to the desired destination/city/whatever. Also, off-road vehicles are incapable of even going offroad in general, since every bump makes it jump and bounce more often than a WRC car. Come on. And when you want to make a fast turn, they swing all over the place, much worse than Just Cause 2 did. Bikes perform far, far worse than in Just Cause 3, and even the slightest turn will send it going into hazards. Also, they have a habit of bouncing when striking an object, causing you to get knocked off and your bike has a fairly high chance to blow up. BIKES DON'T WORK THAT WAY!!! That is ridiculous. GTA IV cars handled better than this and that was 10 years ago. Oh and I'm sick of the inconsistent bumping on the freeways, because for some reason Solis' highway bridges have bumps that can send your car up to 10 feet. Why? FREEWAYS DON'T WORK THAT WAY!!! Oh don't get me started about this stuff. I've seen games that have AI squads that leave cars for no reason at accelerating speed, motorists bumping into civilians, and people just blocking you for no discernible reason, as well as braindead teammates not helping you into combat. This is no exception here, and it shows. Chaos members have a tendency to refuse entry into mission vehicles. That's the least of it's problems as the civilian NPCs are the WORST I've ever seen. They LOVE to swerve at absolutely ridiculous distances; often up to 5-10 feet, they are not oblivious to any gunfire when there's a front line in effect, they cannot circumnavigate their cars if they're heavily damaged or about to explode, they also love to loiter in front of roads, they can't even get around traffic jams and pilots are dumb because they have a constant habit of planes crashing into buildings or even into OTHER aircraft! Really, Avalanche? Seriously? That's my opinions, y'know. If you have any criticisms let me know. I agree a lot with you, the same thing I said in my review on Steam. TrueCrime wrote Furibundo (Furious, in Maltese) it's the only station that its name is not in Spanish. There are chaos objects sure. But sadly, like I mentioned, they no longer contribute towards 100% completion, which is sad because that is what motivated Just Causes 2 and 3 to abandon and/or liberate military bases and blowing up corrupt government assets. Also, I know how tornadoes are supposed to decimate everything in it's path, but for some reason they can't even destroy any buildings in its path (except maybe that one structure in Nueva Voz in a Operation: Windwalker mission). Did they have concrete or something? It's still good but it has some bizarre flaws that prevent the game from going forward. You can pretty much take over all of Solis with only a mere moderate amount of Chaos. What happened? And one more thing. The series is pretty much declining pretty bad. I’m playing this now on the game pass, seen as I loved the first two games, but this is worse than 3. Strangely, many random things have been added (like the traffic swerving and the radio stations) yet so much is absent, such as the radio stations being a playlist, not random like literally every other game. The story is also complete dogshit. The actual workings of government are so unclear that it is not clear what type of government it is. The ruling party has ruled for 500 years, yet the everything in the country is produced there and all business owned by the state. So it is a communist monarchy? I don’t expect deep political discussions from just cause but it must make some sense. The entire point of the series title is to give a reason behind the destruction, the toppling of a dictatorship. However, the people of solis are clearly somewhat wealthy and all the evils of the government are just told in descriptions and never seen. In just cause 2 and 1 you could see that the government needed to go, yet when I’m playing the game it feels like I’m the bad guy. The game was clearly rushed like 3, so much so that it is barely more than a physics sandbox. Also, Just Cause needs proper environmental destruction. It’s the perfect game for it. Just give some vague reason to allow the destruction of private property (the civilians are invading colonists for example) and Just Cause will be great again. The new DLC cars have 3 classes; class B, A and S. All the images published are level S, the difference is the weapons they own. In addition, the DLC contains 3 new factions, new paintjob for each car, I'll not publish them because they're the same as the already published cars.